Paczkis & Robins & Jack, Oh My! Today is a great day, and my photo journal post reflects that. Not only is the sun shining and melting all that pesky snow, but today we honor, and scarf, Packis, those yummy Polish goodies that help kick off the true promise of spring. We stuff ourselves silly before Catholics in the excited bakery crowd have to give up their fav stuff for Lent (sorry guys). Today, we get much-needed relief from bad weather and bad news. 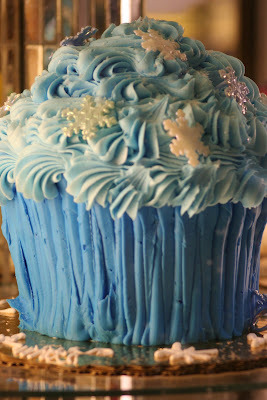 Amazing what a bit of dough and sugary filling can do for the country's mood, or at least for those in my neighborhood. Not only am I on a sugar high, like many in the nation, but I also just spotted my first two Robins scarfing berries off my trees, another welcome sign that perhaps Spring really is in the works. Plus, I got a cardinal shot to boot, and I have included a rose from a fav store that appreciatively wraps every single purchase made with beauty and love and keeps customers returning for more. Finally, back by popular demand, there's Jack. He and I delivered pazckis to my in laws this morning, (he is a working breed after all), right before my adorable new buddy got a small sample of his delicious delivery (note the evidence on his bear snout!). Now, an extra walk is in the works for both of us, right after we finish our pazcki-induced naps in that warm, fleeting sun. I'll attack my writing deadlines tomorrow, once I feel more coherent. Hope you're having a sweet day, too. I'm big on balancing out the lives of children with special needs, just as we do for typically developing children. That important balance includes time for play, including with toys. Unfortunately, many family members faced with the daily demands of special needs either don't take time for such play with their children, or are unsure about what toys would best suit them. So here are some key resources to help you figure that out: The National Lekotek Center which helps families find creative, fun and safe ways to play together. Lekotek also helps Toy 'r Us put together its annual holiday gift guide for kids with special needs. 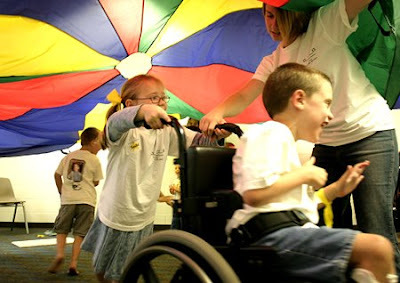 Able Play independently reviews/rates toys for kids with special needs. You can also check out this related YouTube video about the importance of play for kids with special needs and their all-important sibs, as shared by one special family. The end result is about far more than just having the opportunity to experience typical childhood fun. Although that's pretty important, too. RicStar's Camp by Jenna Winter 2006. All rights reserved. It's day 17 with wonderful, regal Jack, and he's got me pretty well trained. I'm holding you close in my heart today and always, RicStar. Your music lives on in so many ways. Much love to the best son ever. I'll never forget you. Happy hearts-&-hugs day to all! I admit that I have yet to catch MTV's new show 'How's Your News?' which premiered last Sunday. I was invited to the MTV premiere in L.A., but couldn't attend. The program airs on Sundays at 10:30 p.m. and features reporters with various disabilities who travel the country interviewing celebs, including Kathy Griffin (the reporter had no clue as to who she was). The spirited group met a decade ago at a summer camp on Martha's Vineyard for individuals with special needs called Camp Jabberwocky. When someone introduced a camera and energized campers responded, a documentary and new series was born. The program isn't without controversy and for some, has created concerns of refueling old stereotypes. But Tom Shales, style columnist for The Washington Post believes the reporters are in on the joke, and he gave the premiere two thumbs up. In part, he writes:"The show isn't really "about" mental disabilities; it's just a chance to look through someone else's eyes and see the world in ways you've never seen it before. It could be part of a course in the humanities, or just a course in humanity. It's also a wickedly entertaining half-hour, one you'll never regret having surrendered to your television set." You can read the rest of his review here. Click here to for the 'How's Your News?' website and more about the program/reporters. Check it out, and tell me, and MTV, what you think. Maybe this program will prove to be one of MTV's better programming decisions....maybe. In what is sure to set off more heated debate, and more media appearances by Jenny McCarthy, a U.S. Court of Claims today ruled against parents who claim that vaccines cause autism. Read it here. 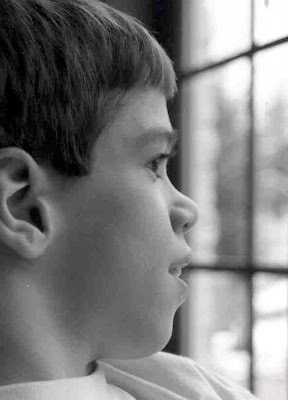 Also, listen to today's NPR piece 'Autistic Children Ineligible for Vaccine Funds' here. In other autism news, click here to read the sensitive article entitled, 'They're Autistic and They're in Love' in the March issue of Glamour magazine. Shout Out! -Scott MacIntyre is Visually Impaired and Top 36 on American Idol Season 8! I've just got a few words to say regarding 23-year-old Scott MacIntyre's entry into the top 36 on Wed. night's American Idol. Yeah, we know the Scottsdale, Arizona native is visually impaired, but he also sings and plays piano really well and he's easy on our eyes. When Scott's mom was brought to tears with the terrific news that her son made the cut, I'm pretty sure that parents of kids with special needs everywhere could relate to the magnitude of the event and the remarkable milestone this family had just achieved. My interest in watching Idol Season 8 just went way up. 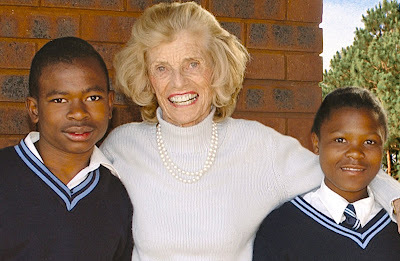 Eunice Kennedy Shriver was advocating for individuals with intellectual disabilities before most people even acknowledged that the population was worthy of our time, energy and recognition. For that, and so much more, we owe this remarkable woman our gratitude and thanks. Eunice Kennedy Shriver helped pave the way for all of us who care deeply about ensuring the rights and greater life opportunities for those with special needs, not to mention giving birth to that terrific organization we call Special Olympics. Please take a moment to click here and send Mrs. Shriver your thanks at the Special Olympics website. She's the ultimate special needs sibling who has given so much unselfishly to the world. Saying thanks is the least we can do, and it only takes a minute of our time. Photo of Eunice Kennedy Shriver provided by Special Olympics. Used with permission. The Nadya Suleman Saga Continues. Loving Mom or Baby Factory? 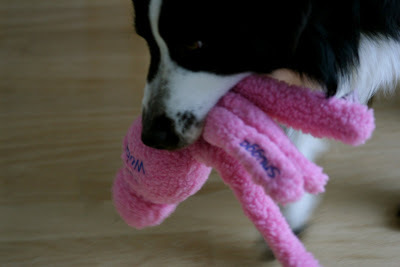 I admit that I've been working overtime to control my strong impulse to comment on the Nadya Suleman baby-making saga. Chances are good that when I do, it won't be in her favor, especially since the jury is still out on how many of those babies may end up with life-long special needs/medical challenges. But I want to digest all the facts and emotion a bit more first before adding more fuel to the current public flogging. Plus, I'm too busy being captivated by Jack right now to ruin my mood. I'll save my rant for another day. That said, I do like what Boston Globe columnist Ellen Goodman had to say on the matter. Check it out here. I'm a grandma again, this time to a beautiful and confident little kitty rescued by my daughter from a shelter. Loki is a charmer, and word has it, he's keeping grandoggies Griff and Zelda in their places. 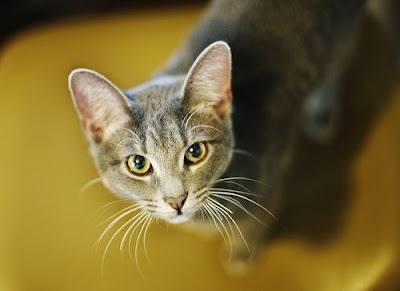 You go furry feline, and welcome to the family! Photo by Jenna Winter 2009. All rights reserved. It's been ten days since I first brought Jack home from the Humane Society. He's quickly become my new best buddy, personal trainer and muse. I remain completely and utterly captivated. Calling all You Elizabeth Gilbert Eat. Love. Pray. Groupies! If you're a big fan of Elizabeth Gilbert and her mega-selling book Eat. Love. Pray. like much of the world (and me) you'll enjoy this YouTube video of the author talking about the joys/challenges of living a creative life. Thanks to my good buddy Jeanie at The Marmalade Gypsy for this one. It's a goodie. Did you know that 1 in 3 kids is now considered overweight or obese? Shocking, but true. Recently, Oprah did a terrific 2-day program on teens and obesity. Click here for more on those shows and for 9 Tips for Parents of Teens Dealing with Obesity. We need to put the cupcakes and technology down and get outside and get moving, now. 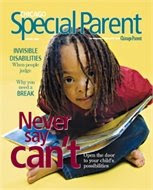 Click here if you'd like the read the cover story in the February 2009 issue of Chicago Special Parent for which I was recently interviewed. It's entitled "Who Am I to Tell My Child You Can't?" A couple of my quotes/points lost some accuracy in translation, (as a journalist, I am and always will be a stickler for quoting sources accurately), but overall it's a good piece, one that highlights the importance of believing in what your child CAN do. Such positive, motivating articles are always worth the read and I appreciate having my passionate voice included in this one. Plus, the cover rocks! So does the Richardson family. Chicago Special Parent is a useful and rare publication. Check it out! Maybe it's because I'm fast approaching the 6th anniversary of my son's death on February 16th, or perhaps it's because we have friends who've just lost a teenager to cancer and another who's teen is battling it, but I was particularly moved by the beautiful images/music put together by the American Child Photographer Charity Guild now on YouTube. Any parent who has begun their child's life in the NICU or spent time in unnerving medical settings can appreciate this touching video. I hope it creates greater sensitivity and awareness of the value and potential of these children in the minds and hearts of many others who tune in. 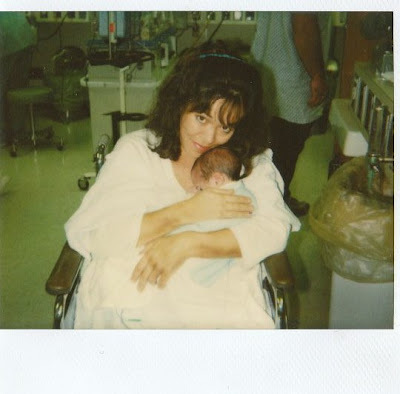 Photos at left from the end (2003) and the beginning (1990) of my special needs journey with my own special angel, Eric. 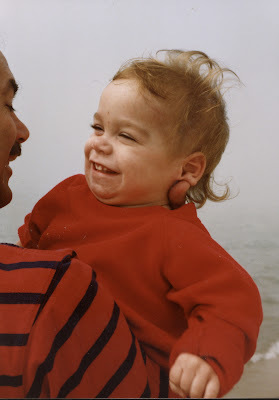 It seems like it only yesterday that I held him close, especially at this emotional time of year. 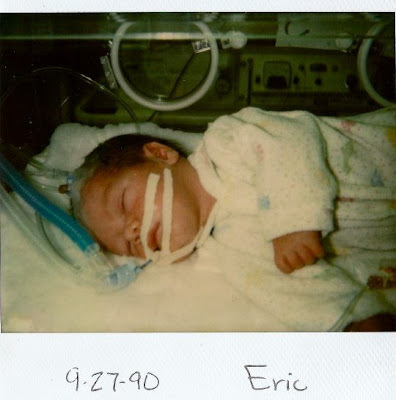 It is the first time I have been ready to share the NICU images with the world. 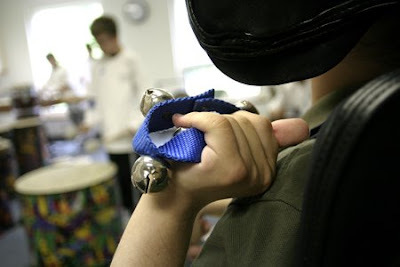 Thanks to my terrific music-therapist-friend Laura at UM for sharing the video with me. Timing is everything. Life truly is fragile. Love well. 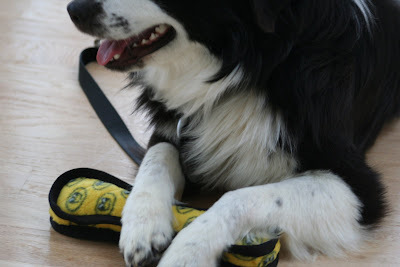 In honor of Responsible Pet Ownership Month, and my new role as a proud dog mama, I'm providing dog owners with the link to Cesar Millan and Bark Busters. Got an unruly dog? 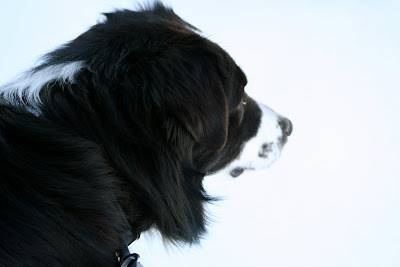 Want to be the pack leader for real like the Dog Whisperer? Want to save the soles of your designer shoes? These sites can help. ....and please clean up after your pet in public. I'm scooping poo, too. Introducing My New Baby, Jack! This time it's to a charming one-year-old Bernese Mountain Dog/Border Collie/Australian Shepherd named Jack that I adopted last Monday at my local Humane Society. Down the road, perhaps he'll make a great therapy dog and work with kids with special needs. For now, don't be surprised if my posts aren't as frequent or lengthy. I'm in mommy mode, training the smart furry baby, and enjoying every single moment. Critters add so much to our lives. I'll be sharing more of my adventures with Jack in the weeks to come. For now, enjoy his beautiful face, and please consider adopting one of your own! Right now, I have to go clean up some doggy barf. Most parents of children with special needs know just how challenging it can be to fully include their children in houses of worship. So I'm always on the watch for good articles to share about advocates working to better address this crisis of faith. Unfortunately, the most spiritual and accepting of people are not always the ones we meet in the pews on Sunday. Once again, your advocacy on behalf of your child is critical to needed change, resulting in valuable lessons in true faith practices for all. Bless you for making the effort. The Beat Goes On....Women, Heart Health & National Wear Red Day! It's National Wear Red Day in support of women and heart health! In honor of that important topic, I'm sharing my February column on heart health and Valentine's Day from CAWLM. With heart disease the #1 killer of women; it pays to educate yourself. Life's far too precious to take our tickers for granted. Now put down that extra slice of cheesy pizza, ladies and read on! Valentine’s Day is all about love. We celebrate the day with fragrant flowers, decadent chocolates, fantasy lingerie, and silly sayings on tiny candy hearts that taste a bit like chalk—and we make our men work overtime delivering all the romantic goods. With the month’s big focus on hearts, did you also know that one in two women will die from heart disease? Visualize a room full of your dearest women friends and survey the potentially devastating losses. This simple exercise should drive home the point that our tickers deserve LOL every day, not just on February 14th. Our hearts are our best buddies. They keep on beating as we try to recover from painful breakups, run marathons and endure childbirth and sweaty hot flashes. They inspire us to proclaim undying love in rambling letters and gooey poetry that rarely rhymes. Our hearts let us function on zero sleep when colicky babies demand soothing. Hearts keep us breathing after great loss when we’re convinced they’ve been ripped from our chests, rudely stomped on and jammed back into place. They’re loyal, even when we overindulge in beer and margaritas, deep-dish pizza, Mackinac Island fudge, and too much Red Bull—again. Fortunately, there’s much we can do to drastically reduce our risk of being on the receiving end of an unnerving statistical equation. You know the drill— don’t smoke, drop the belly fat, up the heart rate, eat more fruits and veggies, reduce stress, and forgive those who challenge your patience when they cut you off in traffic, or boldly chat on cell phones in bathrooms and movie theaters. The heart is a marvel, one many take for granted. On this Valentine’s Day, put the chocolate down and tune into your heartbeat for a minute. Become fully absorbed in the thump-thump wonder of this 9-ounce miracle muscle that works 24/7, 365 days a year, with no vacations, no paycheck, and few thanks— then decide how you can better help this miraculous ticker live strong in 2009. February is all about our hearts, ladies. Show yours some love— and eat the dark chocolates. of millions of voices calling for change."